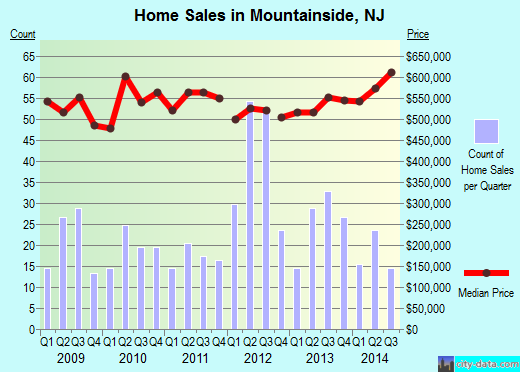 Moving in or out of Mountainside, NJ can be a daunting task to many residents and business owners. Optimum Moving has been serving residents in the area by providing professional moving services for years. We use the latest moving innovations to ensure that our clients’ property is kept safe during the entire relocation process. Our highly skilled staff members are very organized and offer packing and lifting services to ensure you have a stress-free move. Situated in Union County, NJ, Mountainside is a borough with a total area of 4.0497 square miles. The city has a population of 6,808 bordered to the north by Summit and Springfield Township to the east. The Mountainside has a 50-year-old zoning ordinance which is designed to preserve the beauty of the city. Most houses are built in various styles which include ranches, colonials, bilevels and split-levels. The estimated median house in Mountainside values at $611,258. The majority of houses and condos feature three bedrooms with a small percentage of renters staying in one house for an average of one year. 73% of the Mountainside residents choose to stay in the same house for an average of five years while 52% have lived in different houses within the city. House owners are said to have stayed in houses for an average of 16 years. At Optimum Moving, we not only offer Mountainside residents affordable moving services, but we also ensure that they have a stress free relocation experience. We use the latest moving equipment to organize, pack and unpack items. Whether you are moving small or big items, we have the latest moving innovations to facilitate commercial and residential moves. Contact Optimum Moving today to get a hassle-free relocation! Want to learn more about a Mountainside Move?